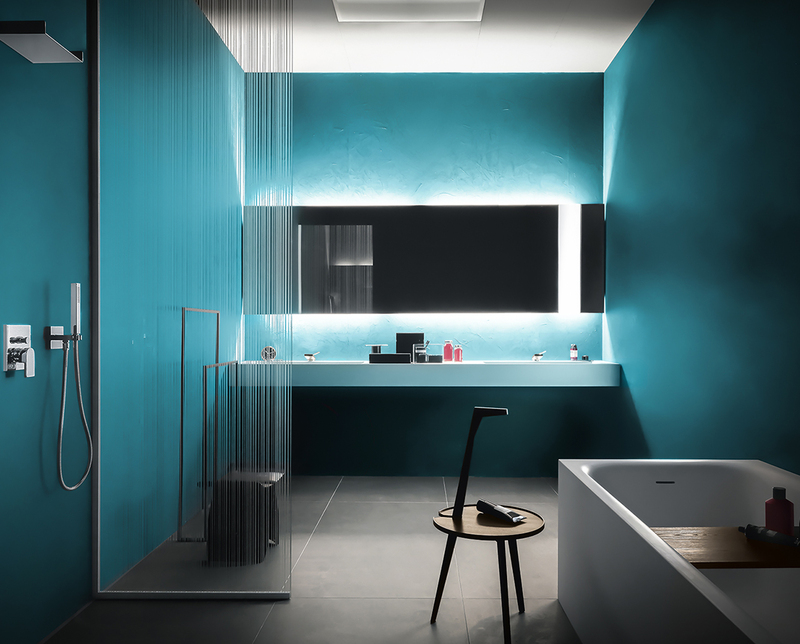 The mission Arblu has set itself is to interpret the increasingly widespread yearning for wellbeing, vitality and harmony for both body and mind, through an original balance of beauty and function, technology and creativity, ecosustainability and innovation. is a different vision of life. The formal and stylistic research, conducted with skilful art workshop, gives life to prestigious furniture, characterized by classic shapes and precious finishes without ever losing sight of the arrangements that are more practical and functional. The use of natural materials and high quality workmanship distinguish a collection raffinta and escluisiva. Your living space, your everyday gestures, and your different requires which are combined with your own habits and personality, are the crucial points which pushes you to imagine the new creations, meanwhile, some of them may already make part of your life without noticing it. INNOVATION, ELEGANCE, QUALITY... An evolution in furniture has arrived and Espacios DOCA is the is the forerunner in exquisite designs and avant-garde solutions. Our team of young, active professionals have clear ideas, a positive vision, constructive criticism, a desire to succeed and lots of experience. Consistent with reality, but always looking to the future, trusting their potential and backed by their experience. Espacios DOCA is one of the most solid and safest bets when choosing furniture for kitchens, bathrooms and wardrobes. “… a group of stars to evoke emotions, where the past, present and future create a magical synchrony with the passion and skill that Fratelli Frattini has always dedicated to its work. The perfect answer to needs of: - Architects, Kitchen Studios, Designers and Contractors who are looking for high value solutions for the creation of kitchens and furniture for residential housing, high level buildings and villas. In our mission we mentioned that Altavita Group will be one of the leading group for supplying all your home needs from famous and well-known brands all over the world. In our heritage we are supporting all CSR and sustainable activities. Our main focus in our group we are a transparent and ethical group. In our mission we mentioned that Altavita Group will be one of the leading group for supplying all your home needs from famous and well-known brands all over the world. In our heritage we are supporting all CSR and sustainable activities. Our main focus.